When the New York Jets traded for quarterback Ryan Fitzpatrick they sent a clear message to their “franchise” quarterback Geno Smith. Put up or shut up. After two frustrating years filled with interceptions and movie trips to see Gone Girl the night before games, Geno Smith’s career in New York could be on life support. Ryan Fitzpatrick is by no stretch a true franchise quarterback, but at the moment could be the Jets best option for opening day starter in 2015. Why? Chann Gailey is the Jets new offensive coordinator and has worked with Fitzpatrick before. 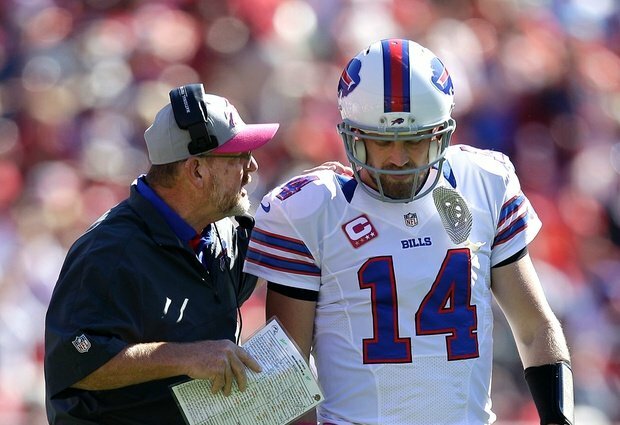 Not only does Fitzpatrick know Gailey’s system, but his best success in the pros was in this system. In three seasons Fitzpatrick threw for more the 10,000 yards and 71 touchdowns in the new offense the Jets will run. 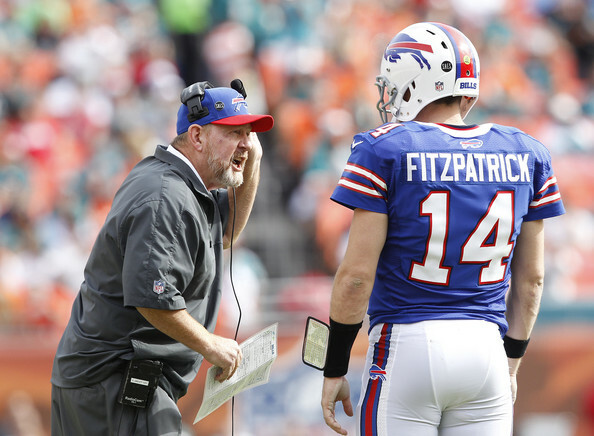 Without Gailey, Fitzpatrick has only thrown for 52 touchdowns. Now will Geno Smith be given ever opportunity to win the job out of camp? Yes, but this will be the final opportunity. Smith has the talent to be a very successful NFL quarterback, but has to show the consistency and mental toughness that are required to be effective at the position. With the new weapons around him and the attempt by the Jets to improve the offensive line, there will be no more excuses for Smith especially with a more than capable backup in Fitzpatrick. Is New York a legitimate contender with Fitzpatrick? No, but they at least have a solid game manager who won’t turn the ball over and keep them in games. Wither way this is a defining year for Geno Smith. Either he will prove that he can be the future franchise quarterback for the Jets, or he will force New York to once again look for their first true franchise quarterback since Joe Namath. Next The Camundrum: Should Talbot Start Over the King?